Halo: The Master Chief Collection is out in just a little over a week on the Xbox One. The $60 package is loaded to the brim with Halo goodness including Halo: Combat Evolved Anniversary, Halo 2: Anniversary, Halo 3 and Halo 4 as well as a ton of special features. Today Microsoft have released a brand new documentary to celebrate the event. Step 1: Get an Xbox One or an Xbox 360. Step 2: Go to the Xbox Video app and search for Remaking the Legend. Step 3: Download and enjoy…for FREE! 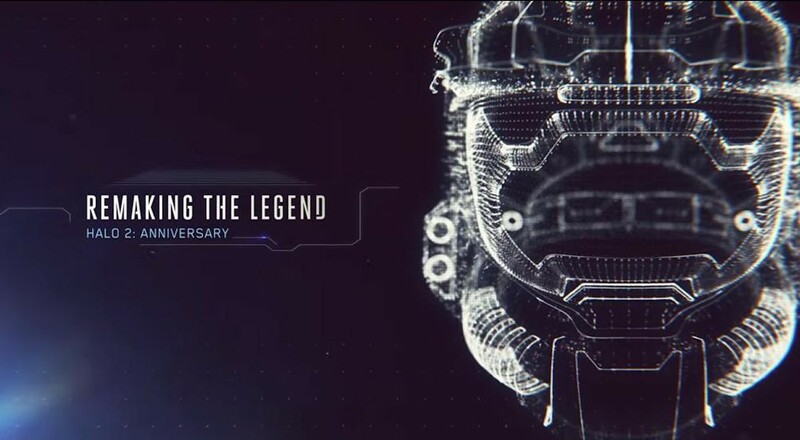 After November 3rd, the documentary will live at www.halowaypoint.com or www.youtube.com/halowaypoint for repeat, on-demand viewing. If you've been following us on Twitch.TV, you may have already seen our streams from the past two nights showcasing gameplay from Halo 1, 2 and 3. This weekend we'll show off more footage of four from the collection. Here are two recap videos below. We'll have our review of the entire package on November 7th. Remember Halo: The Master Chief Collection has both local and online co-op options in every single game within the collection with fifty missions that span all four games and can be played in any order. There's A LOT of content in this package for $60.